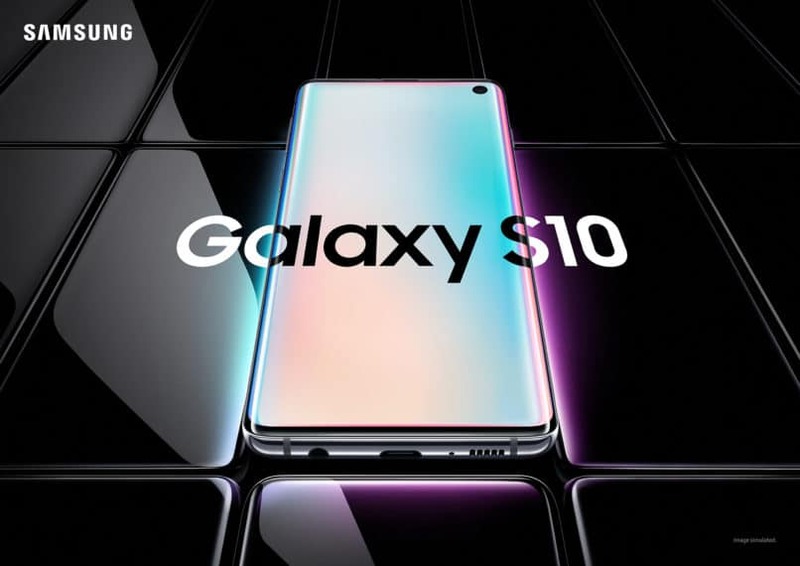 Marking a decade of the Samsung Galaxy series, the much-anticipated Samsung ‘Unboxed’ event took place last night at San Francisco and unveiled a fleet of new S10 Galaxy devices and an ultra-futuristic foldable smartphone. A concept that the brand teased with for almost a year, has turned into reality. 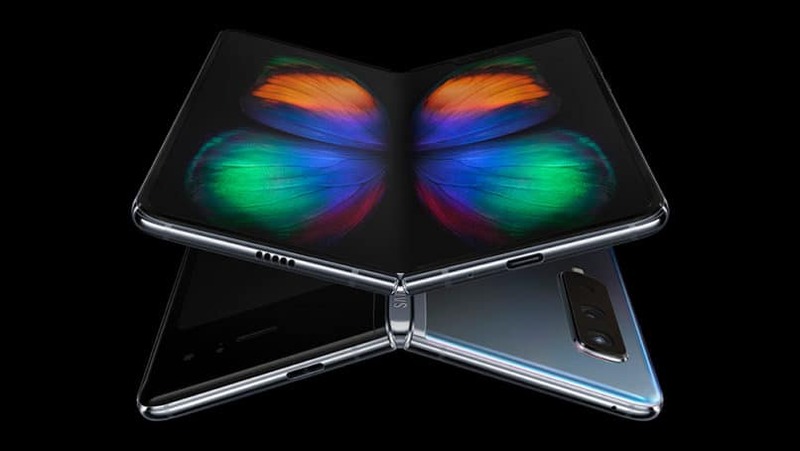 Dubbed as the Samsung Galaxy Fold, the US $1980 flexible smartphone was definitely the biggest launch of the event and the most exciting one we’ve seen all year. 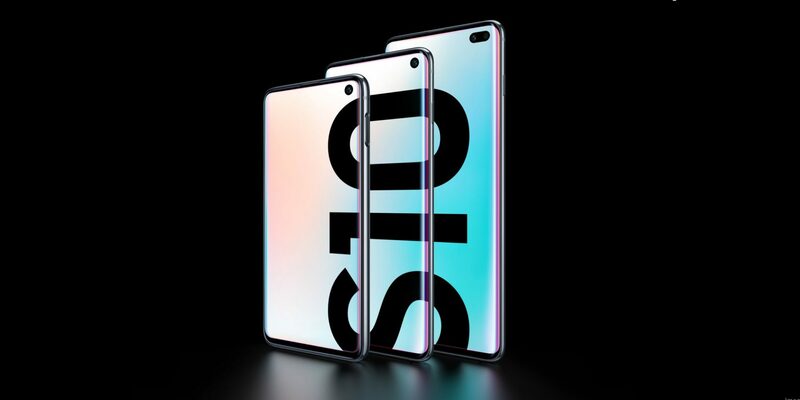 Alongside this, Samsung unveiled the Galaxy S10, Galaxy S10+, and Galaxy S10e. The Fold is using a new 7.3-inch Infinity Flex Display, which allows the phone to bend into a tablet-sized screen that can be folded to fit into a pocket. The primary display flexes a QXGA+ resolution, and when its folded, a smaller 4.6-inchHD+ display comes into play. The Fold comes with a storage cap of 512 GB alongside a Qualcomm 7nm Octa-core processor and 12GB of RAM. With two screens come two batteries as well. Hence, the Fold’s two batteries are separated by the fold but combined in the Android operating system to represent a total of 4,380 mAh. Keeping up with the famous S series photography calibre, the Fold comes with a triple-camera system. There’s a 16-megapixel ultra-wide camera, alongside 12-megapixel wide-angle and telephoto cameras at the rear with a 10-megapixel front camera for selfie indulgences. In terms of interface adaptability, only Microsoft Office, Whatsapp, and Youtube have been customised to adjust to the folding screen, the rest should roll out in month or two. The phone display is clearly designed to be used with one hand, but it’s flanked by large bezels that aren’t found on the tablet mode. The S10 on the other hand, comes with a vibrant, sharp and, optimised 6.1-inch QHD+ Infinity-O Display. 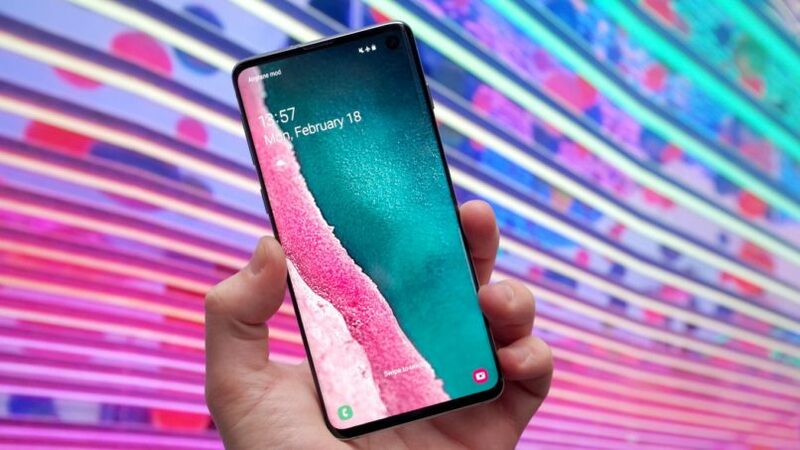 The engine of the S10 comes in two variants, a 7nm Qualcomm Snapdragon 855 processor and an Exynos 9820 processor, both powered by 8 GB of RAM. 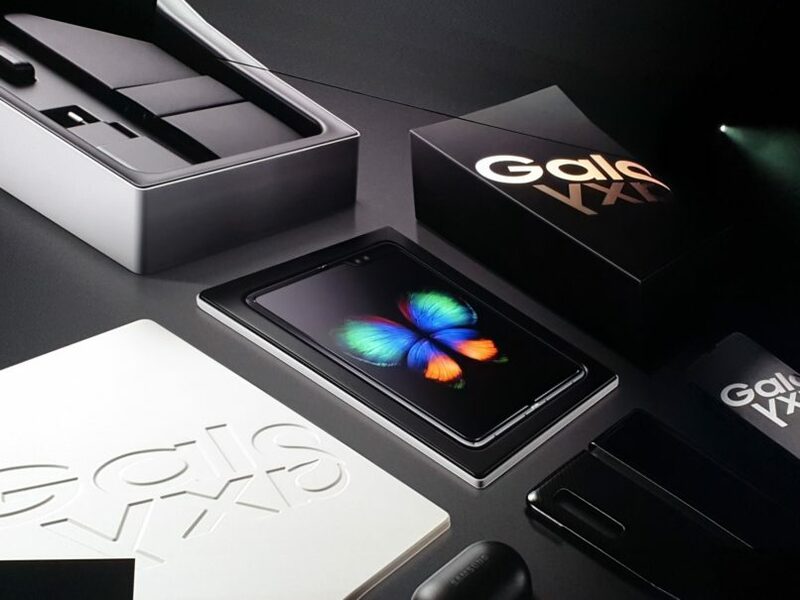 We speculate the Snapdragon will be used for Asian markets for its popularity. 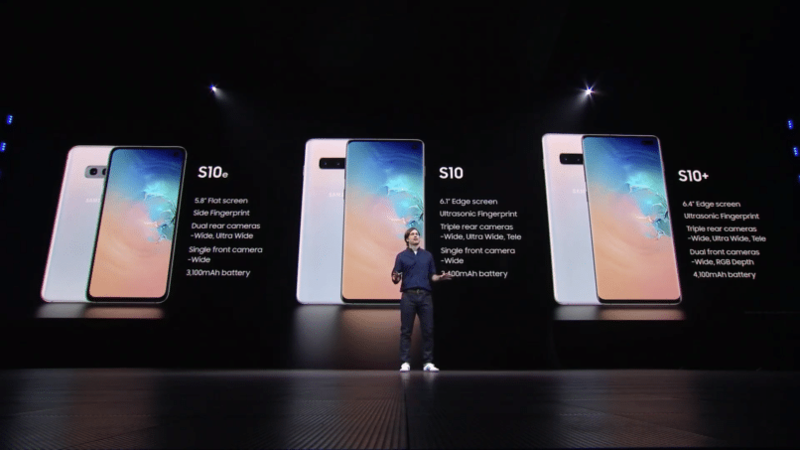 The S10 comes with three camera lenses, a 12-megapixel wide-angle lens, a 12-megapixel telephoto lens, and a 16-megapixel ultra-wide lens camera. The Samsung Galaxy S10 has a 10-megapixel selfie camera too. While being powered by a 3,400m Ah battery, storage comes in two sizes, 128 GB and 512 GB. 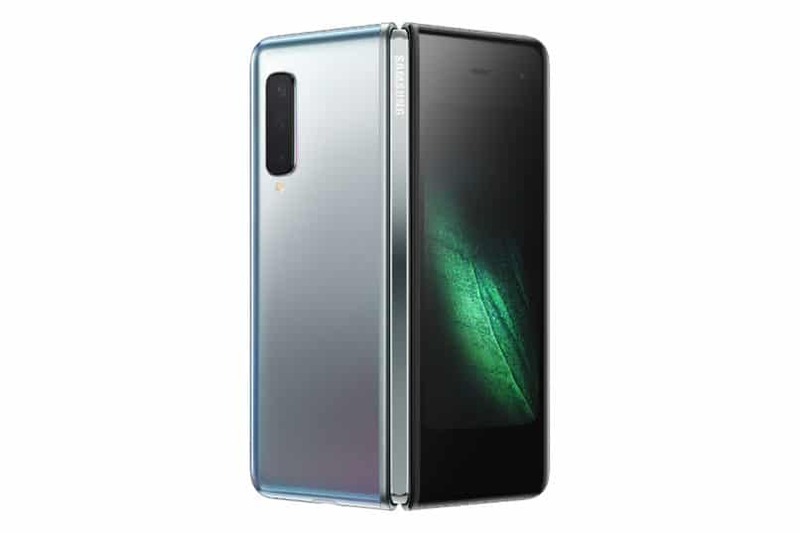 The Fold and S10 will be launching on April 26 in the US and then in the rest of the world. While the Fold has been priced at US $1980, the S10 comes in at a cool US $899, which equates to Rs 1,40,000 and Rs 65,000 respectively.